Window shop around our website and keep in mind that these designs are only for ideas. You can sketch anything and send it to us by email or fax. 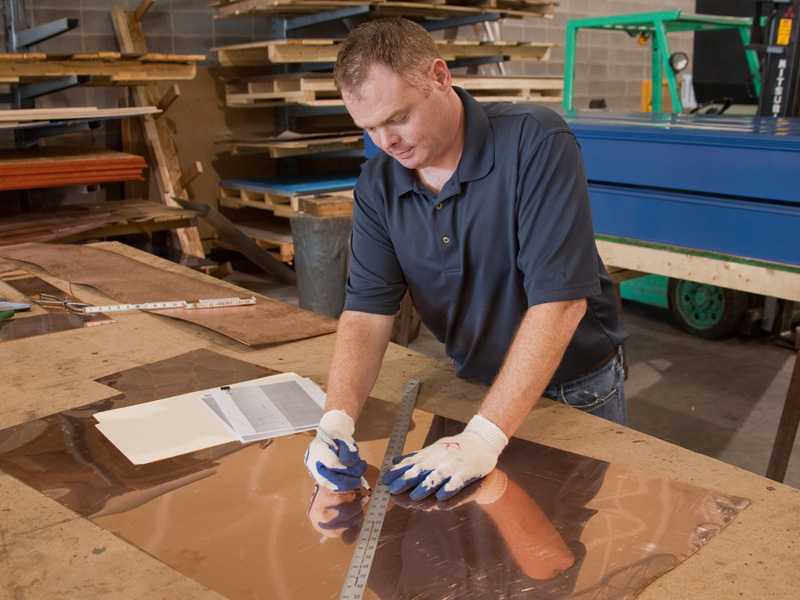 We can help in your design to make sure you get what you want in your copper product. All of our producs are custom and hand-made, nothing is standard. We also offer various patinas and colors that you can choose from. Everything we make is unique! Circle City Copperwork's copper products are both stunning and built for hard daily use. 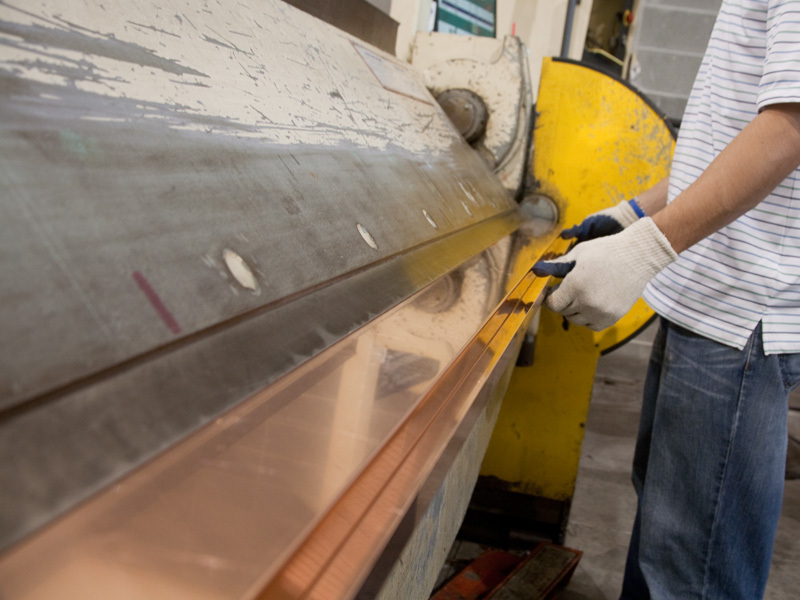 From our lines of copper sinks, to our copper countertops, copper range hoods, as well as exterior architectural copper, we build our pieces for authentic detail and a lasting service life. Copper itself is an antimicrobial surface that is naturally self-renewing. Few metals have these properties of being both germ free and able to naturally repair themselves. The warmth and tradition of copper is as relevant today as it has been throughout the centuries. Circle City Copperworks combines 19th century tools with state of the art copper cutting machines to create unique copper work that captures the look, feel, and class of yesteryear. Functional copper products are now displayed as sculpture and art in a world that increasingly values the artisans and crafts of old. Our copper products are truly handmade and will all possess their own unique characteristics. These unique characteristics, such as style of hammering, that set each product apart are the signature of the coppersmith that built the product. 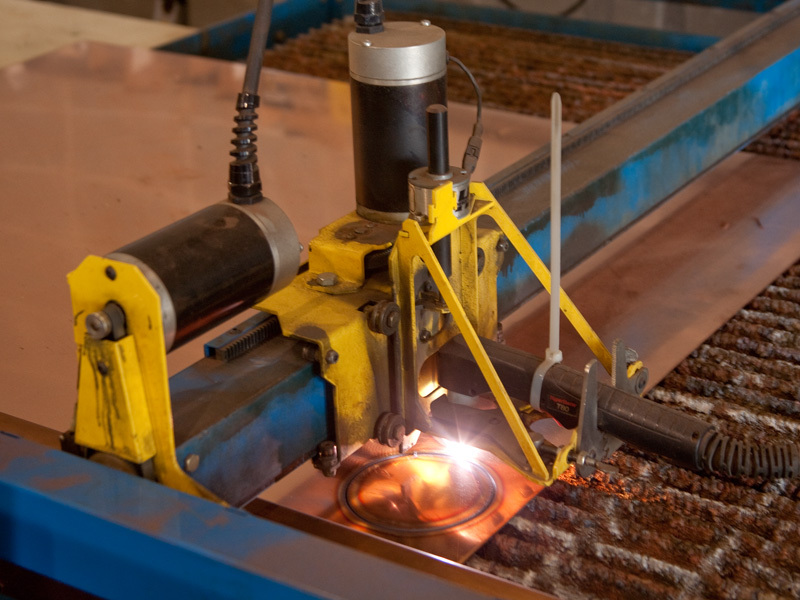 Working with Circle City Copperworks is an entirely unique experience for the majority of our customers. Rarely in this economy does one deal with a production company that works directly with its customers to create unique one-of-a-kind pieces. 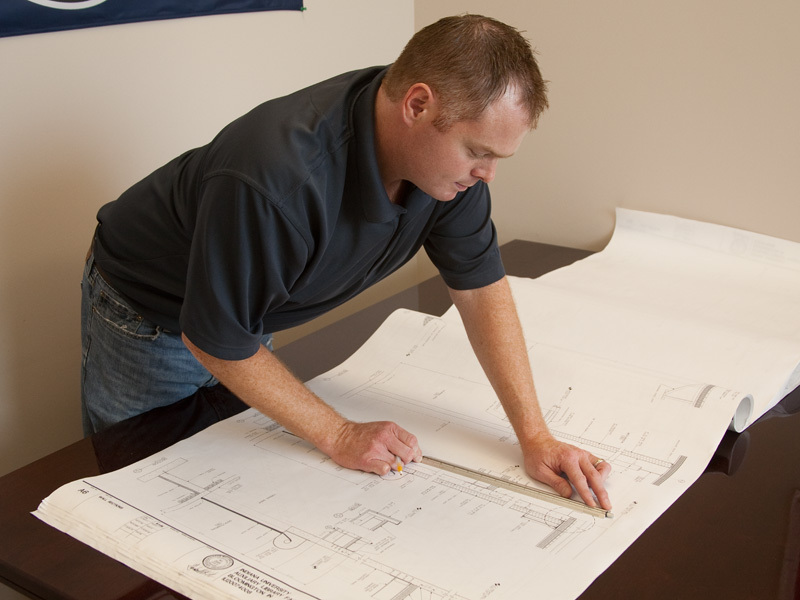 At Circle City Copperworks you may be as involved in the copper build process as you desire. We enjoy creating challenging copper work built to your unique specifications. Handmade goods are limited by nature and as the value placed on unique high quality handmade goods rises, so too does the demand for custom copper work from Circle City Copperworks. Every copper product we build stands as a reminder of the passion and creativity that was infused into the handiwork of old.